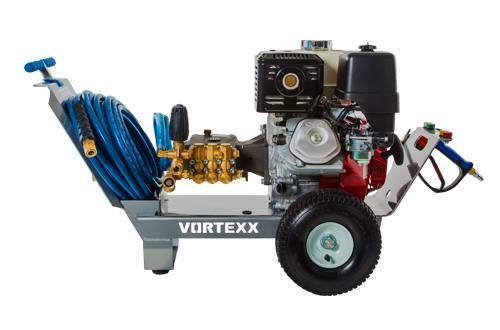 The Vortexx Professional 4000 PSI Pressure Washer proves tough doesn't have to be ugly. 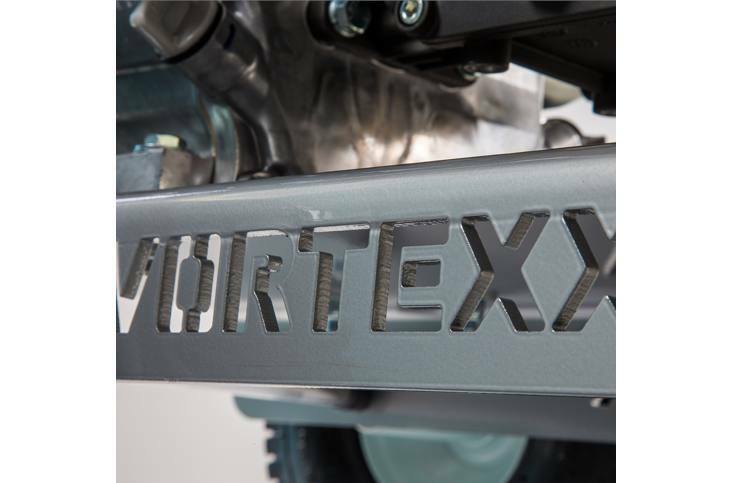 Vortexx has designed special features, like cut-outs in the frame and oil drain holes to make servicing easy. The tough, all aluminum construction means this unit will easily hold its own. 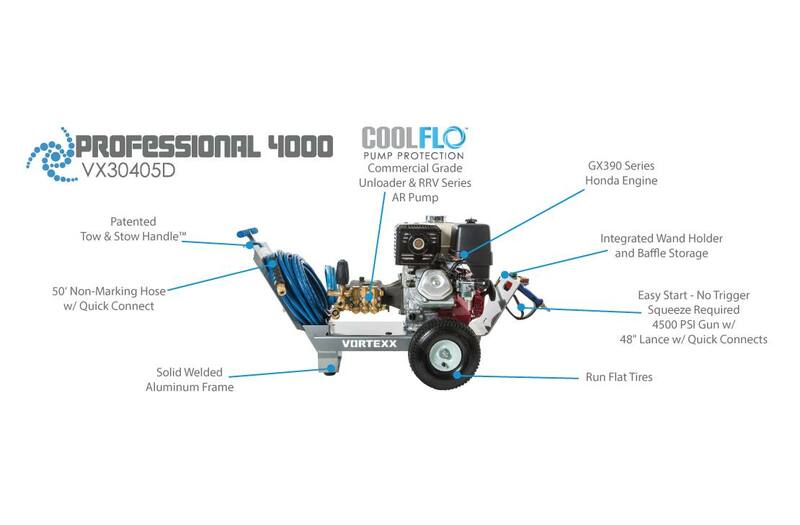 At the core is a powerful and dependable 390cc Honda GX Engine mated to a professional grade AR Triplex plunger pump. 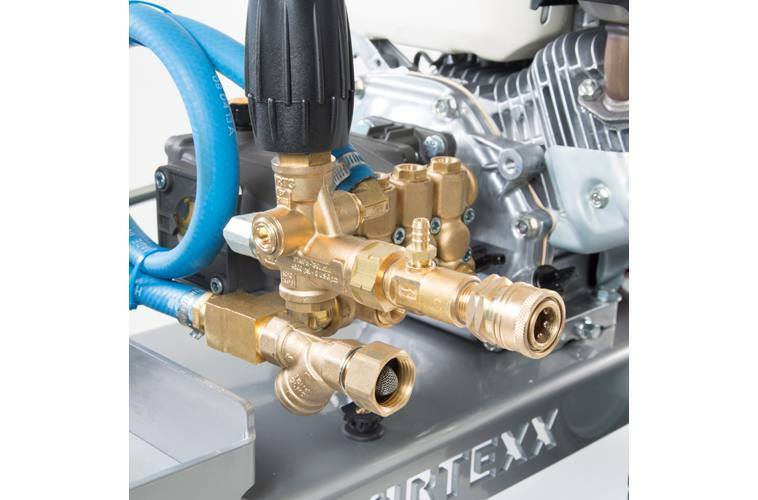 Contrary to popular belief, all pumps are not created equal...Vortexx designers worked hard with AR engineers to build-in features like re-buildable unloaders, extra filters, 3' long by-pass hoses and thermal relief valves for ultimate pump protection.